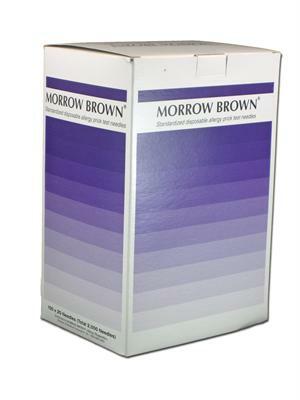 Learn about Morrow Brown® Disposable Allergy Test Needles! 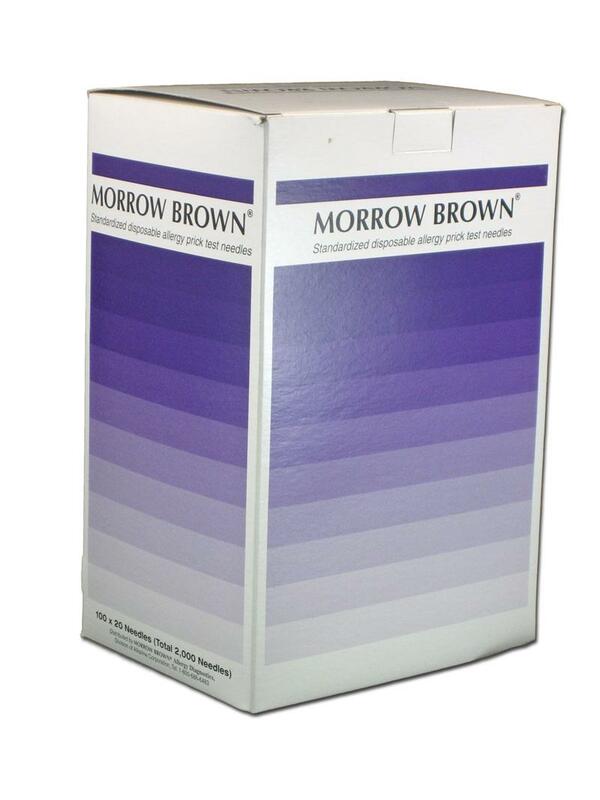 Order Morrow Brown® Disposable Skin Testing Needles Today! Each Morrow Brown® disposable needle is made of NAS styrene methyl methacrylate copolymer, a non-toxic plastic designed for strength. The plastic is colored blue for better visibility. Needles are packaged in blister packages of 20 and sterilized by ethylene oxide. Each needle breaks off for immediate one-time use, then is thrown away. Elimination of the cleaning step between each puncture minimizes risk to the technician of the exposure to bloodborne pathogens. Each box includes: 2,000 Needles per box / 100 sterile 20 unit packs. A complimentary SkinTest Result Caliper is included in each box of needles. Please note: Login is optional.